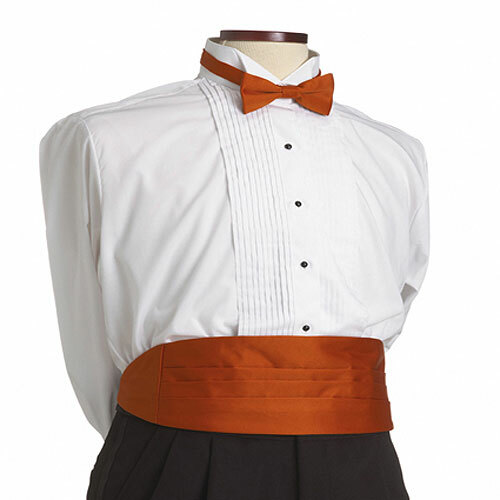 100% Polyester orange cummerbund with front waist pleat and adjustable elastic back. Polyester cummerbund with front waist pleat with adjustable 1" wide elastic back, Fits 24" - 48" waist. 12 piece minimum. Quantity discounts available. Individually poly bagged.